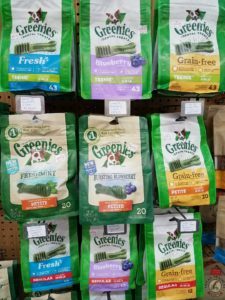 Stop by Lochte Feed & General Store, and take a look at our Greenies Pet Treats . We have quite the assortment of treats here, including Canine Dental Treats, even Grain-Free Dental Treats. This entry was posted on Tuesday, October 3rd, 2017 at 5:36 pm	and is filed under News & Updates. You can follow any responses to this entry through the RSS 2.0 feed. Both comments and pings are currently closed.